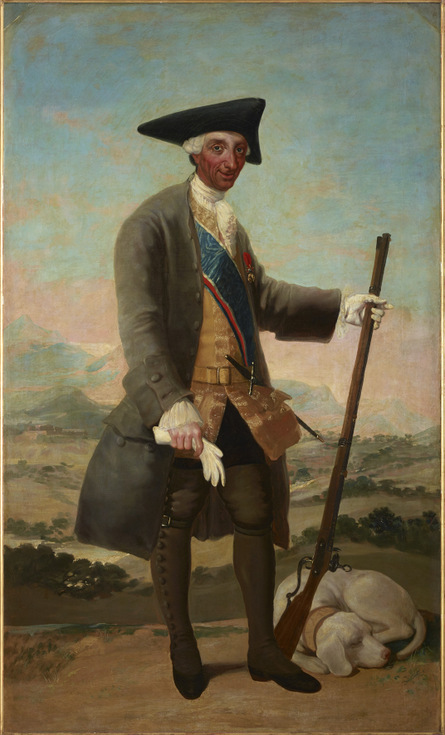 Goya's Portraits: Does Creativity Suffer When It's Paid For? We're massive fans of Goya, and loved the witches and old women exhibition at The Courtauld Gallery earlier this year. However, we approached Goya: The Portraits with some trepidation. Painting the rich and famous is what artists did to earn money, not necessarily where they were able to truly express themselves. Many works on show at the National Gallery bear the hallmarks of a painter constrained by the very fact they are commissions. 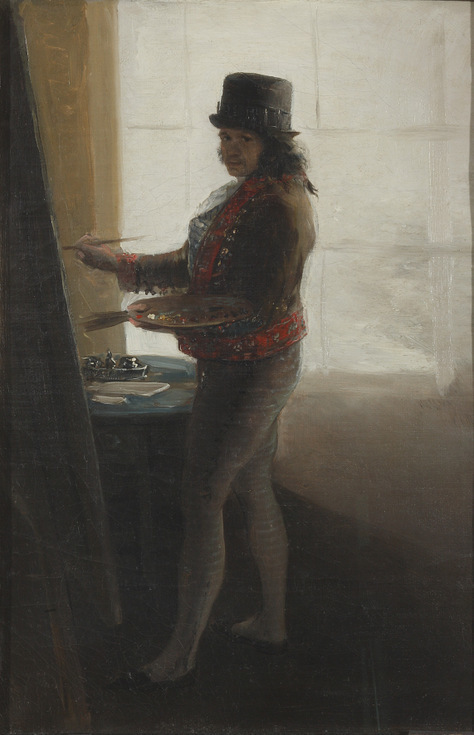 Despite these restrictions Goya is still able to insert little touches of his signature style including the heavy use of black paint, he is able to inject humanity in a piece with a grinning man in the background, and he still flaunts that energy that forgoes accuracy — ensuring his paintings possess an inimitable liveliness. It's Goya's self-portraits that show him at his uninhibited best; one work featuring his intense stare that is unsettling to look at, another unabashedly detailing the impact of old age. 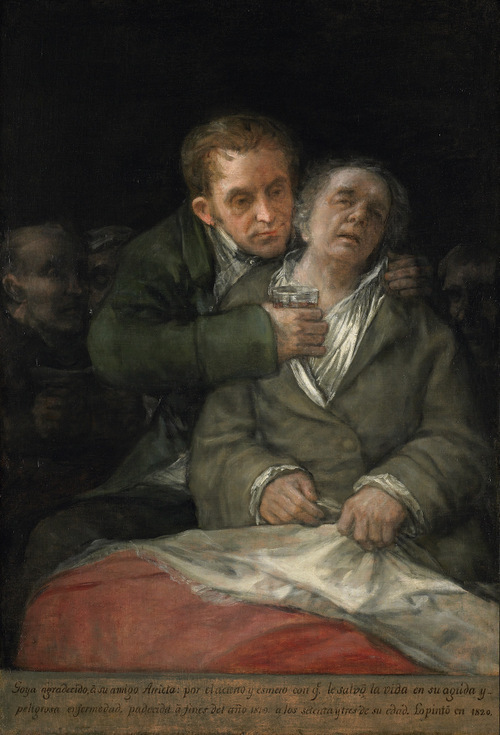 The most powerful work is a self-portrait with a doctor, as Goya lies on his deathbed. 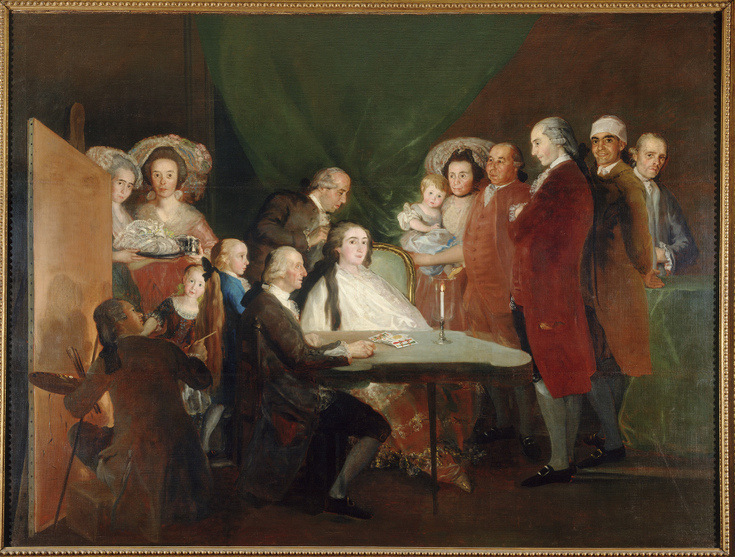 Dark faces loom in the background as if the painter's vision is narrowing. He feels that the end is near and so do we. All constraints aside, this is still stronger than many other society painter shows we've seen, such as Sargent and Moroni. 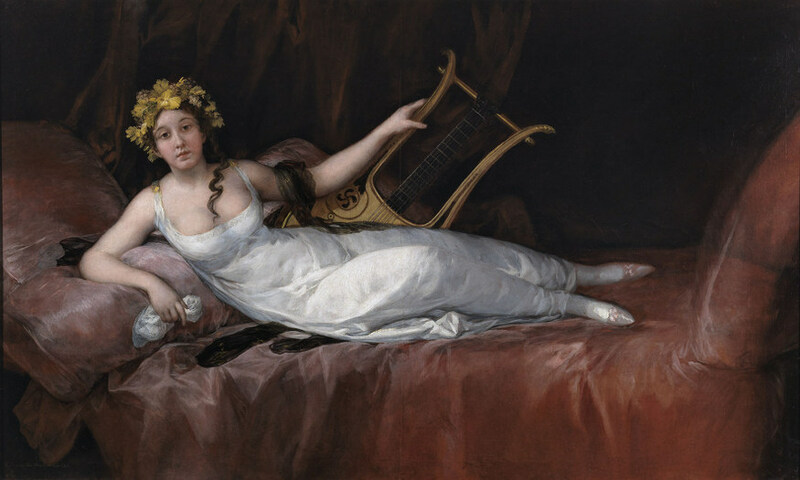 And it still offers a taste of Goya's brilliance and features many spectacular works. No, it doesn't reach the heights of the spectacular black paintings in the Prado, Madrid but it is still a great exhibition. 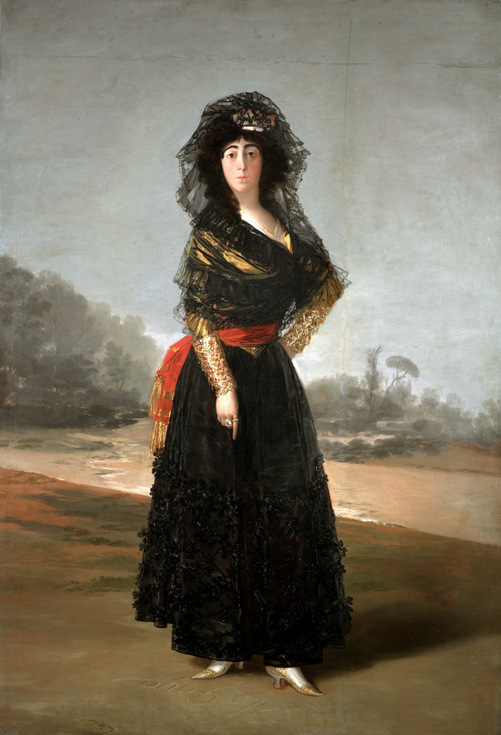 Goya: The Portraits is on at The National Gallery until 10 January. Tickets are £16 for adults, concessions available. Next door at The National Portrait Gallery is the glamorous Audrey Hepburn and Simon Schama's history of Britain told through portraiture. Nearby is the London Transport Museum's Night Shift and the political art of both Ai Weiwei and William Kentridge. Also check out our top openings for autumn and October, plus our most talked about exhibitions for September.